Do you remember when you were young and you wanted something so badly that you tried to show your tail until you got it from your mom or dad? For some, do you remember attempting to show your tail in a store so bad, that when you got home, your mom was the one with the episode after she gave you a big fat whack!? It's no different when you get older. We all have our episodes when things are just not going our way. Some choose to do this publicly and eventually become front page news, others use their episodes to write their next book or screenplay to hopefully sell to Hollywood, and even as much as this one hurts, some take it out on themselves. 2. Lie dying, wishing we would have choked back the tears and rejection to just do it, by any means necessary. Today is a new day. Looking back on all the days before this one, I am still here. You are still here. I am still here with a voice and words to share for someone. Someone also has words to share with me as I move through this day. No matter what episodes you find yourself in today, make good use of them. Write about them. Take good notes about them. Have your best friend or confidant take good notes because once you're finished with your dramatic episodes, you have work to do to help share your experiences with the greater good. Someone needs to read, watch, or listen to, your dramatic episodes to keep them trucking through this life of unexpected change. Selena Thinking Out Loud With Purpose is participating in yet another Book Tour! This time, the book is a young adult adventure story by Andy Gavin, titled, Untimed. I have been provided the book to review and to share my personal opinions and experience while reading. All contents of my review below are 100% my own. It is also a pleasure to say that I am not the only book reviewer on the tour. You will also find below a list of amazing bloggers who have jumped aboard for the ride through this time-traveling adventure. Make sure to stop by their blogs as well! Upcoming Giveaway for Signed Books of Untimed: Make sure to stop by on Monday, March 11, 2013 12:01AM/EST for the start of the Signed Book Giveaway for 3 Winners! I will post the giveaway on this date. Untimed is an action-packed time travel novel by Andy Gavin, author of The Darkening Dream and creator of Crash Bandicoot and Jak & Daxter. Still, this isn’t all bad. In fact, there’s this girl, another time traveler, who not only remembers his name, but might even like him! Unfortunately, Yvaine carries more than her share of baggage: like a baby boy and at least two ex-boyfriends! One’s famous, the other’s murderous, and Charlie doesn’t know who the bigger problem is. A lavish production with a cover by acclaimed fantasy artist Cliff Nielsen and twenty one full page interior illustrations by Dave Phillips. Untimed for me was an interesting ride. I was immediately drawn to this book by its cover art. Then once inside, while reading about Charlie's journey with his lady love, Yvaine, you find illustrations as well. I read this book in two days over the weekend and really wanted to know where the ending would lead Charlie and Yvaine. If you're the type who enjoys time traveling into different time periods, following a character through a life of thievery, new-found sexual desire, historic talking points and mix-ups with the past, present, and future, then, this is a book for you. In the beginning of the book, I am introduced to Charlie, a boy who is literally an outcast. His father is never around but twice a year because of his work (time traveling) and his mother (a natural) mixes things up like his name. I believe many young adults at his age and older can relate to feeling like an outcast. Even for a young man, dealing with the girl-factor, can be even more trying when they're not involved with the in-crowd. However, as I have experienced in my own life, the character stumbled upon a gift he didn't even know he had, to give him strength. It was shielded from him by his father. It wasn't until he encounters some Tick-Tocks or "men" looking for his father and aunt at his home, does he put two and two together while out on a field trip in Philadelphia. This is the point in the story where his journey actually begins. Before this journey, Charlie was hopeless but by the end he became a "real man". For a young adult reading, I would leave access to this book to the 16 year old and up.readers. Believe me, I know! With all the mess that comes on television these days, why would I care to mention the implied sexual moments, baby-momma-drama and multiple men, at such a young age and the violent fighting, right? However, it's worth mentioning for those who monitor their children's reading pleasures. Andy Gavin is an unstoppable storyteller who studied for his Ph.D. at M.I.T. and founded video game developer Naughty Dog, Inc. at the age of fifteen, serving as co-president for two decades. There he created, produced, and directed over a dozen video games, including the award winning and best selling Crash Bandicoot and Jak & Daxter franchises, selling over 40 million units worldwide. He sleeps little, reads novels and histories, watches media obsessively, travels, and of course, writes. Selena Thinking Out Loud With Purpose received this book to review through Beck Valley Books Book Tours, all the opinions above are 100% my own. I know. We all have done it. We think because we see a friend, colleague, family member, or celebrity in the glitz and glamour, that their lives are golden. However, sometimes that's not quite the case. We all have issues. Some of us are fortunate enough to deal with our issues better than others but what does that even mean? It's a jungle out here. Unexpected events can creep up around any corner. When we allow ourselves to assume, we put too much energy and focus on the wrong things and give less emphasis on what really matters. We forget, in those moments, that we need each other. No one can live in this life alone without the support of another, right? Believe me, we all have bad days. I am no exception. I believe what makes us all so special and unique is who we really are inside and out. We are indeed human, which makes none of us perfect. So, with all that said, the best we all can do for each other, is hope for the best, pray for people, be wise in our counsel and who we have in our circle, then leave the rest up to God. He knows all our "real" business anyway. Selena Thinking Out Loud With Purpose is so excited to bring you this XBox Kinect Bundle Giveaway with an amazing group of hosts leading the way. If you're the type who enjoys a good workout and are always looking for new ways to change up your weekly workout, then Xbox Kinect has games to help you do just that! In this giveaway, one (1) winner will Get Fit by Gaming and all you have to do to enter, for a chance to win, is through the Rafflecopter provided below. Who said that working out had to be some chore? It can be fun, while keeping you healthy too. Good Luck! One (1) lucky winner will win the Kinect Bundle. Must be 18+ years old to enter. Please enter all of your entries into the Rafflecopter form provided by the host below. Good Luck in the Xbox 360 Kinect Bundle Console Bundle Giveaway! Selena Thinking Out Loud With Purpose is so excited to bring you this $100 Amazon Gift Card Giveaway hosted by some amazing bloggers! I am a huge fan of Amazon. They always ship my items fast and they are in great condition. When I was deciding on camera accessories for my future film-making projects, Amazon was the first place I looked to compare prizes. I ended up purchasing about 90% of my items from Amazon. Amazon is also great for getting deals on everyday items like groceries, clothing, and items for your kids and pets too. 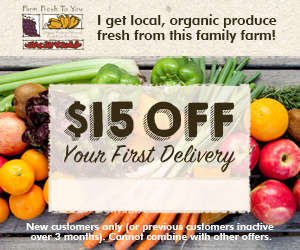 If you are the lucky winner, you will receive an emailed Gift Card in the form of a Gift Code that you will use to enter in at checkout, once you're ready to purchase your items up to $100! All of the details of this giveaway are below and the Rafflecopter Form is where you enter this giveaway! Good Luck to you and thank you for stopping by! -Selena B. Event Dates: Starts at 9PM EST on Saturday, February 16, and ends on March 2 at 11:59PM EST. This event is open WORLDWIDE. The Frugal Batavian, The Frugal Free Gal, Saving with Diana, Life in a Breakdown, and Money Saving Lisa. 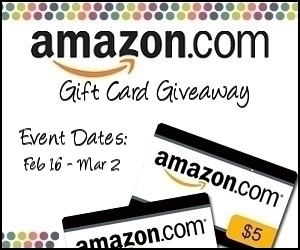 How would you like to win a FREE $100 Amazon eGift Card to use for whatever you want? Right now, you can enter for your change to win! How to Enter: Use the Rafflecopter Entry form below! On this Valentine's Day the strangest memory came to mind. It took me back to when I was in Pre-K or Kindergarten and it was Valentine's Day. The teacher had a very special day planned for us. We were going to make hearts out of red construction paper and glue on those candied hearts. We even tried to read the words off the candy but we didn't actually know what the words meant. Valentine's day for us, little ones, was a day to show our parents love. As time went by we learned other meanings of Valentine's Day. It was no longer just about the red hearts made out of construction paper or the candied hearts with "Be Mind", or the small valentines day cards my mom bought from the store to bring to class for sharing. It became more about hugs and kisses. They say that girls develop faster than boys in the love department. I don't think this saying applied too well to me because I was a tomboy for some time but I remember the times when my friends would whisper in each other's ears about other little boys. It was so funny to me. I can only imagine how the boys felt about it. Some of them looked as agitated as the boy in the picture above, others tried to ignore it, and some played the young lover-boy they copied from their dads. Love can be so innocent. Today, Valentine's day is celebrated all over the world. It's the day when more chocolate, flowers, and who knows what else, is bought. Through all of it, young or older now, I hope that you have a very special day. #Winner Announced in Shari's Berries Valentines #Giveaway! I am so happy to announce the winner of the Selena Thinking Out Loud With Purpose Shari's Berries Valentines Giveaway. You will have 48 hours to respond to the email which was sent to claim your prize. If no response is received in the allotted time, a new winner will have to be selected via the Rafflecopter entry form. No one is excused from working on the skills that make them the professional they are. It is so easy to see the difference in your performance when you've committed the time to your career or creative endeavor. Personally, I try to work on something to balance out the times when I'm working on a project and when I'm out seeking a new project. In this business of acting and other careers like basketball, football, tennis, singing, etc., you have to practice. Do you remember that saying, "Practice makes perfect"? Well, if so, you know that it holds some truth. No matter what goals you have and you're focused on to achieve, you have to know that there is someone just as motivated as you are. Sometimes, it may seem that others are actually even more motivated, but you are in control of your own destiny. When you practice, you really see how much more you have to work and how much harder too. It's no mistake that some of the greatest athletes, singers, rappers, dancers, announcers, and moguls of times past and present are as brilliant as they are. It's because they did away with the nonsense and the resistance that takes over their minds at times. They found a way to transform the negatives into a positive form of practice and action. When your coach or teacher says you must practice and work harder if you're expecting to compete in the big leagues, that is not them trying to get under your skin, but preparing you for serious competition. Acting, the music industry, sports industries, entrepreneurship and wherever you find your creative focus will be tested. The big questions comes to mind, "Will you be ready"? As an actress, you are told to practice and use your acting muscle as much as you can. You can memorize monologues, write scripts and produce them, work with an Improv group, watch movies, take workshops with your acting coach and learn from others who are doing it, in the business. There is nothing like having a job come your way and you nail it because you've prepared yourself, in advance, just because! I was working on a monologue recently called 'Ectopic'. I decided to put it on video and post it to my Youtube channel. It's also below to share with you. I like to keep my practice genuine and real to the character and continue to work on it. You are never 'finished' with these things so I'm going to keep practicing. The topic of the monologue is a bit controversial but what isn't these days. If you would like to share something you're working on or share feedback on my monologue, leave a comment below. I would love to read it. Win $500.00 PayPal CASH for Valentine’s Day! Need a PayPal account to receive prize, if the winner. Enter giveaway on MamaNYC, CLICK HERE. It's #SuperBowl Sunday 2013! #Football Fans...Are You Ready? I was raised watching #Football. That's all that played on Sundays during the season! I couldn't help but learn the plays, the pass rushes, interceptions, personal fouls, and most of all, the touchdowns that win football games! I'm East Coast-born and raised so I know all about those Ravens. Now, I'm enjoying the sun on the West Coast and a bit closer to the 49ers fans. Today's Super Bowl will be no different, when the San Francisco 49ers and the Baltimore Ravens take the field. I will be watching! I can only imagine the adrenaline rush that each player is having right now. They have worked all season to get to this very special day. They have experienced injuries, upsets, losses but never gave up on their end goal of the Super Bowl. I am wishing both teams a lot of luck and focus. Most people have already chosen the team they hope will win, just take a look at this Madden NFL 13 video below. Me, I'm staying neutral this year. There's nothing like watching football, a game you know, love and understand. It was deeply ingrained in me at a very young age and I can't get enough of the game. It's Super Bowl Sunday, Everyone! Football Fans, Are You Ready?